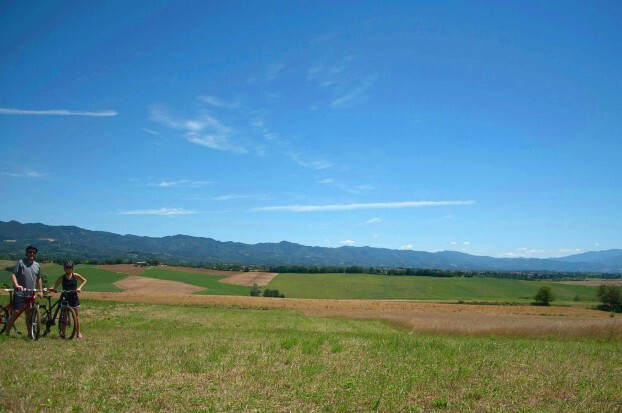 You wanted a vacation in one of the most charming corners of Tuscany? So start pedaling! 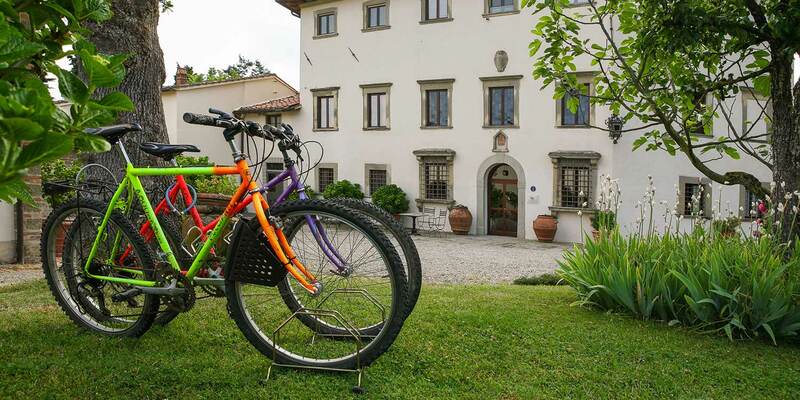 With the complimentary mountain bikes that Villa Campestri provides its guests, you can enjoy the natural beauty, history, and art of the Mugello Valley. 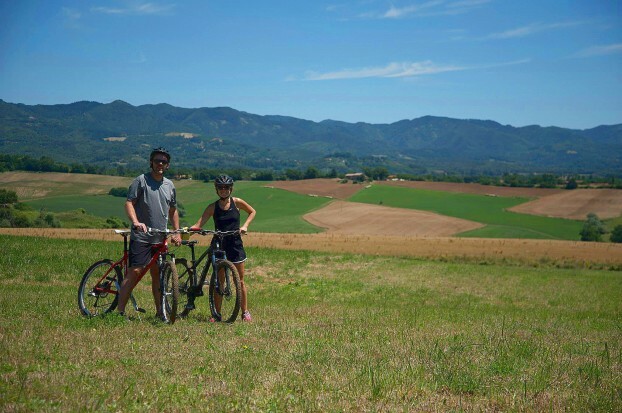 The following itineraries are just examples of routes that were planned by a specialized tour guide in mountain biking. The routes correspond to three levels of difficulty so that everyone, experts, beginners, and families, can experience the beauty of our countryside. Itineraries may be personalized according to your specific needs. 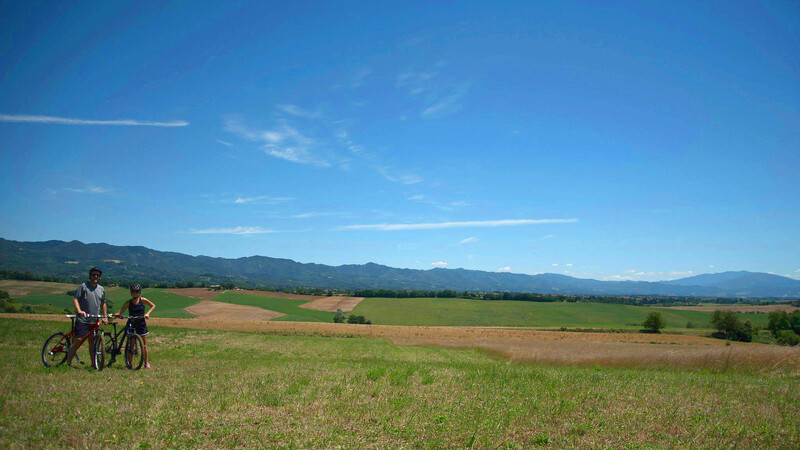 (Panoramic excursion from Borgo to Ronta) – Level of difficulty: easy – Duration: half day. Have you ever heard the story of the famous circle that Giotto drew freehand with masterful ease? You can face this panoramic excursion of the hills surrounding Villa Campestri Olive Oil Resort with pleasure and the same ease. Level of difficulty: intermediate – Duration: half day. 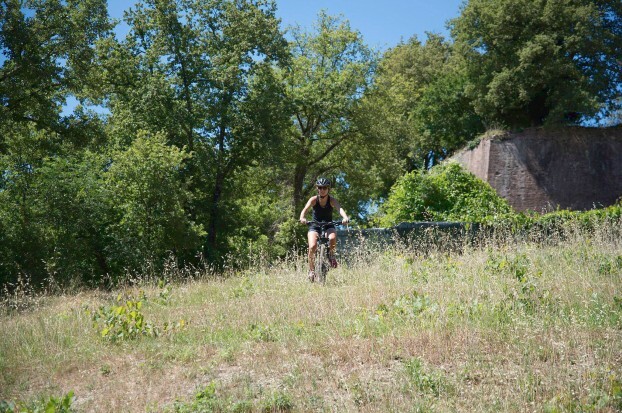 Blessed are those who can reach the stunning Medici castles of Trebbio and Cafaggiolo after a few gentle slopes and with a bit of sweat on the forehead. 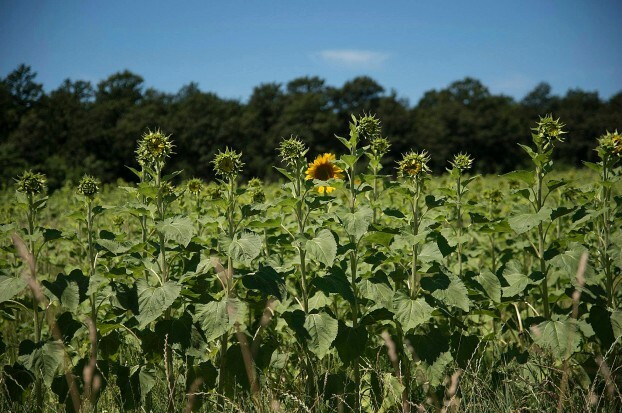 They will feel like travelers in ancient times who had the pleasure of admiring this renowned countryside and its places of historical and architectural interest. Level of difficulty: challenging – Duration: full day. The Medici family, powerful, proud, passionate conquerors. In name of this local family, we propose our third excursion. This intense and exciting excursion is a small challenge that must be faced with resolution as well as with healthy discernment. If muscles and breath are not up to the challenge, just ask for a softer version. For further information please get in touch with the staff of Villa Campestri Olive Oil Resort at our telephone number +39 055 8490107, or send us an e-mail.